The Strategic Trade Review allows readers to read, download, copy, distribute, print, search, or link to the full texts of its articles and allows readers to use them for any other lawful purpose. Authors hold copyright and retain publishing rights without restrictions. Authors are solely responsible for the content of their articles. 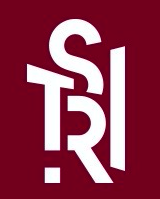 STR publishes articles under the terms of the Creative Commons Attribution Non-commercial Share-Alike 4.0 International license. The Strategic Trade Review adheres to the Codes of Conduct and the Official Guidelines of the Committee on Publication Ethics (COPE). The Strategic Trade Review maintains a zero tolerance policy for plagiarism, falsification of data, misuse of third party material, fabrication of results and fraudulent authorship. Submitted manuscripts may be subject to checks using the iThenticate service, in conjunction with CrossCheck, in order to detect instances of overlapping and similar text. The Strategic Trade Review is a peer-reviewed journal using a double blind process. The Editor-in-Chief initially reviews all submissions to the journal. All selected submissions are reviewed by at least two peer reviewers that are experts in the specific area of strategic trade covered. The reviewers will communicate acceptance of manuscripts for publication within five weeks of submission or less. If a manuscript is not acceptable in its present form, the reviewers will pass on suggestions for revisions to the author. The Editorial Board reserves the right to reject manuscripts that do not conform to the standards of the journal. The Strategic Trade Review’s self-archive policy is that archiving is permitted and there is no embargo period for the deposit of author accepted manuscripts after publication in an institutional repository.